​Barcelona have agreed a deal to sign 16-year-old midfielder Lucien Agoume from French side Sochaux in June. The exciting prospect has already established himself as a first team star for the Ligue 2 side but has yet to be handed a professional contract by the French club. According to Spanish publication ​Sport, ​Barcelona have moved to take advantage of the situation and seal a deal which will see Agoume arrive at the Camp Nou at the end of the season. It is said that the midfield sensation has shown great character in breaking into Sochaux’s senior setup recently, becoming the youngest player in the club’s history to feature for the first team. Barcelona will apparently be required only to pay Agoume’s development rights, with the midfielder yet to sign a professional deal and therefore being available at minimal cost. The rising star is currently a French youth international, though he could yet choose to represent Cameroon at senior level. 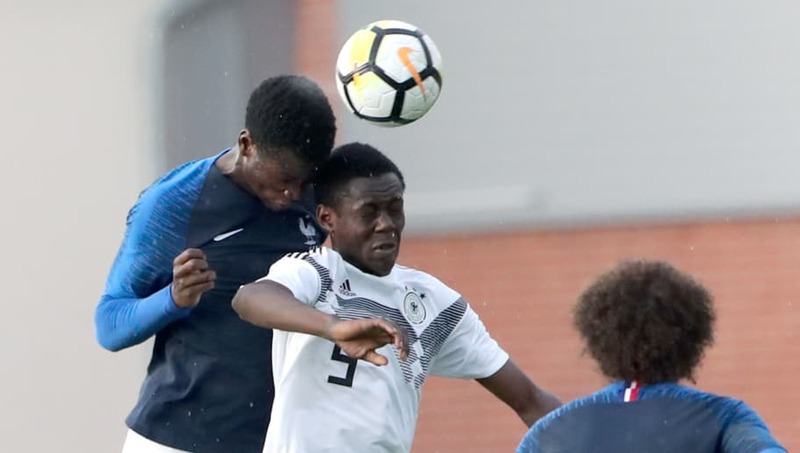 Barcelona have apparently tracked Agoume’s progress in the French second division over the last year and have been sufficiently encouraged to make a move sign the exciting youngster. With Serie A giants ​Inter also said to be interested, Barcelona have subsequently held ‘intensified’ talks over the midfielder, having committed to a clear decision to sign the talented star. It is suggested that Sochaux could yet make a deal with Barcelona more complicated by handing Agoume a professional contract, which in turn would make a potential transfer to Catalonia more expensive and tougher for the La Liga champions to negotiate. However, talks are said to be at an advanced stage, with Barcelona apparently confident of completing the signing barring any late twists.